He was born in Ioannina in 1975. He studied Theatre at the Athens University, Costume Design at Veloudakis School and Stage Design at the Athens School of Fine Art and at UCL’s Slade School of Fine Art on scholarships from the Onassis Foundation and the Friends of Music Foundation. He has collaborated as a set and costume designer with many major theatre companies (Greek National Theatre, Hellenic Festival, Art Theatre, Amfi-Theatro, Aplo Theatro, Neos Kosmos Theatre, Theatro Odou Kefallinias, Theatro Odou Kykladon, Roes Dance Theatre, Quasi Stellar, The Beggars’ Operas as well as many Municipal Theatres) in more than 80 productions ranging from classical theatre to contemporary dance and from Shakespeare and Chekhov to Sarah Kane. In June 2011 he curated the Hellenic participation to The Architecture Section of the Prague Quadrennial 2012, which was awarded the Golden Metal. In cinema, he was awarded the State Prize for Production Design for his work in the film Slaves in Their Bonds by T. Lykouressis (2008). In 2001 he was a Linbury Finalist working with the Royal Court for R. Schimmelpfennig’s Push Up. He is currently the treasurer of the Hellenic Centre of the International Theatre Institute and a member of its board since 2008. 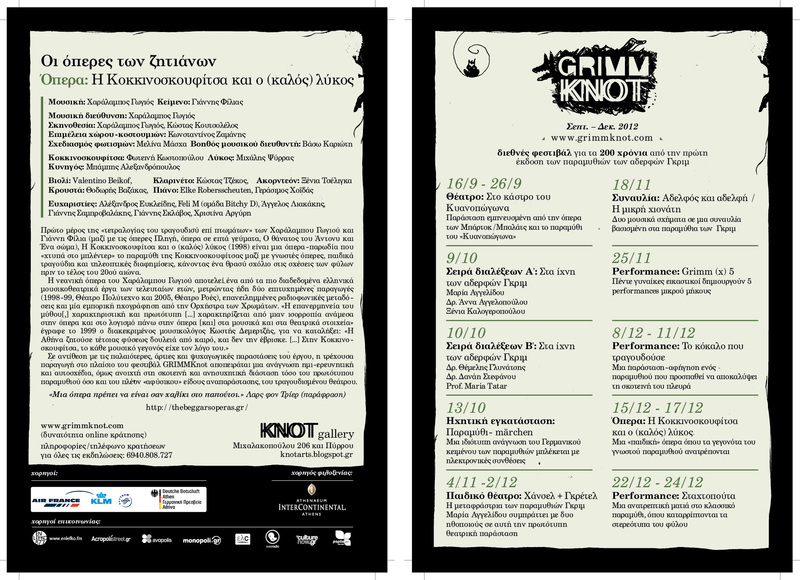 He taught stage and costume design at the University of the Peloponnese from 2004 till 2009 and has been teaching the same subject in several drama schools.